Be the first to share your favorite memory, photo or story of Laddie. This memorial page is dedicated for family, friends and future generations to celebrate the life of their loved one. 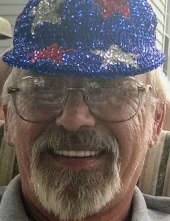 BLOOMINGDALE-Laddie L. Lesnick, Jr., 65, of Bloomingdale, Indiana passed away Saturday, April 6, 2019 at Union Hospital in Clinton. He was a Tool and Die maker and also a supervisor for Masterguard in Veedersburg, as well as a devoted husband, loving father, grandfather and friend to many. He was born October 5, 1953 in Waynesburg, Pennsylvania to the late Laddie L. Lesnick, Sr. and Josephine Belovich Lesnick. Survivors include his wife of 45 years, Charlene Stinnett Lesnick; also surviving, two daughters, Lori (Chris) Thomas of Bloomingdale and Renee (Jon) Lehr of Poland; one sister, Jo Lesnick of Valparaiso; three grandchildren, Mason Garrard, Haley Lehr and Journey Thomas. He was preceded in death by his mother, father and step mother, Ethel Lesnick. He was a member of American Legion Fellenzer post 48 and AMVETS post 61 both in Rockville. He was an avid car enthusiast with an unforgettable sense of humor and smile. Visitation will be Wednesday, April 10th from 4-8 pm, with service Thursday, April 11 at 11am, at Gooch Funeral Home, 112 W. Howard Street, Rockville. Online condolences may be shared at www.goochfuneralhome.com. To send flowers or a remembrance gift to the family of Laddie L Lesnick, Jr,, please visit our Tribute Store. "Email Address" would like to share the life celebration of Laddie L Lesnick, Jr,. Click on the "link" to go to share a favorite memory or leave a condolence message for the family.